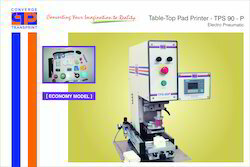 Prominent & Leading Manufacturer from Mumbai, we offer table top pad printer. We are offering a wide range of Table Top Pad Printer. Looking for Table Top Pad Printer ?